All Oak View homes currently listed for sale in Oak View as of 04/25/2019 are shown below. You can change the search criteria at any time by pressing the 'Change Search' button below. If you have any questions or you would like more information about any Oak View homes for sale or other Oak View real estate, please contact us and one of our knowledgeable Oak View REALTORS® would be pleased to assist you. "***AMAZING VIEW** OVER 1/2 AN ACRE OF USABLE LAND**ATTACHED GUEST HOUSE**6 OR MORE FRUIT BEARING TREES**IN A CUL DE SAC*** Welcome to NIRVANA! This sprawling 6 bedroom 4 bathroom and bonus room estate with 9 foot depth pool, spa, and mature fruit trees is the perfect family home or getaway. 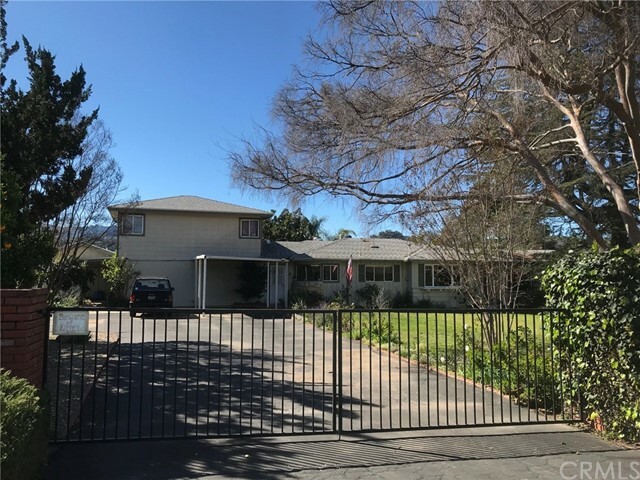 Nestled on a lush hilltop, on a quiet cul de sac overlooking the Ventura river with breathtaking views! This .6 acre lot REALLY does have it all. From the endless views of the sunset, the vaulted ceilings, th"